Hesselholdt & Mejlvang is an artist duo consisting of Sofie Hesselholdt and Vibeke Mejlvang. They will present some of their large-scale site-specific installations, performances and projects in public space. Their work revolves around subjects such as national identity, flags, skin colors and the formation of a collective “we” and is based on a profound belief in art as an agent of social change. Rusudan Melikishvili will perform Holding Heart, which takes inspiration from the artist’s own past migration. The work draws upon the female experience of time and space, with the heart as a symbol of reconciliation, forgiveness and hope. 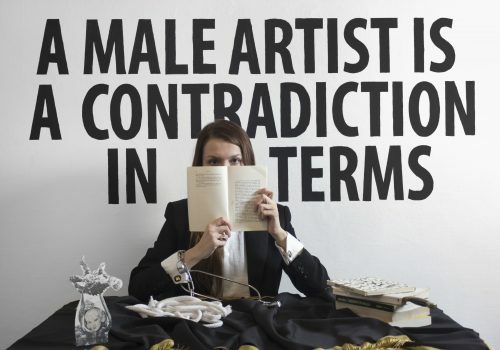 This program is supported, in part, by Danish Arts Foundation; Hartfield Foundation; New York City Department of Cultural Affairs, in partnership with the City Council; New York State Council on the Arts with the support of Governor Andrew M. Cuomo and the New York State Legislature; and Stavros Niarchos Foundation (SNF). 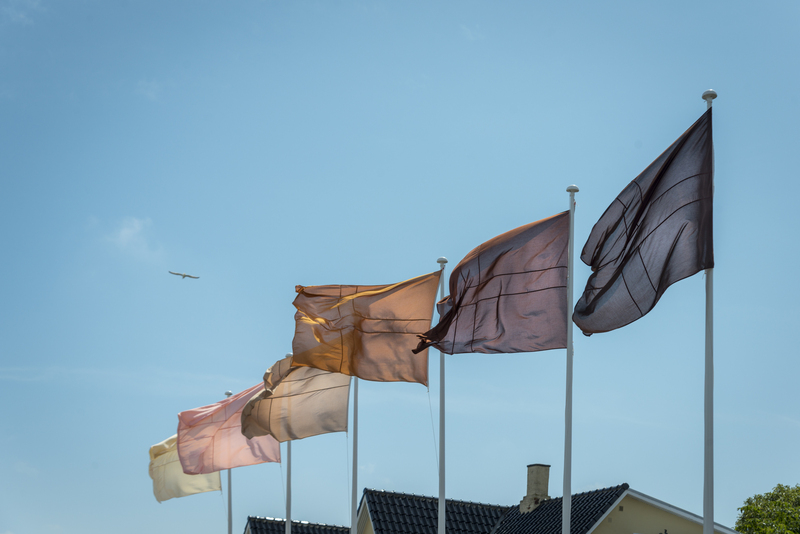 Hesselholdt & Mejlvang, Native, Exotic, Normal / State of Emergency, 2016, fiberglass, polyester, six flagpoles, and six flags. Courtesy of the artist. Photo: Anders Beier. 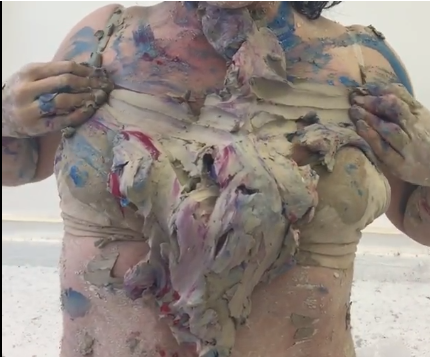 Rusudan Melikishvili, Holding Heart, 2019, performance. Courtesy of the artist. 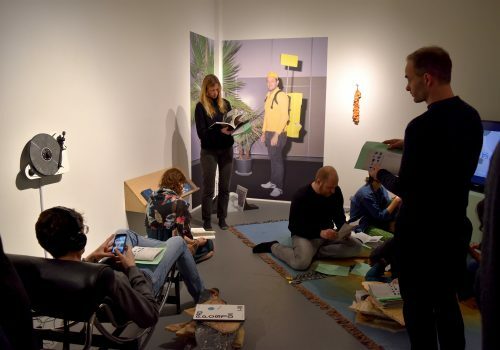 Alicja Gaskon will present her past projects as well as her current ongoing work titled Dividing Lines. In this series, lines and mapping become a narrative process through which the artist tells stories about conflict, borders, migration and identity. VOID’s presentation will provide an in-depth look into their work and research. The artist duo will speak about some of the new projects they have developed in the last few weeks of their ISCP residency. This program is supported, in part, by Fédération Wallonie-Bruxelles; Galeria Le Guern; Hartfield Foundation; La Fondation pour l’Art Contemporain Claudine et Jean-Marc Salomon; New York City Department of Cultural Affairs, in partnership with the City Council; New York State Council on the Arts with the support of Governor Andrew M. Cuomo and the New York State Legislature; and Stavros Niarchos Foundation (SNF). 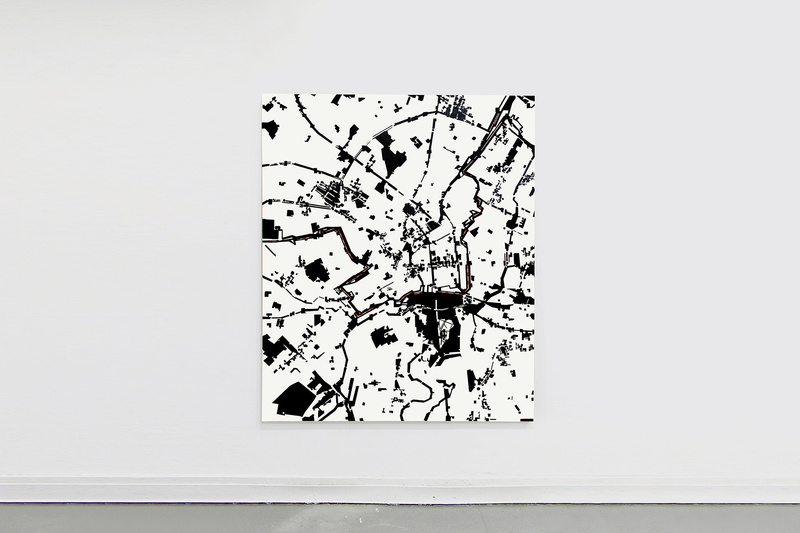 Alicja Gaskon, Eastern-Western Divide (The Berlin Wall), 2017, enamel on canvas, 72 × 60 × 2 in. (182.88 × 152.4 × 5.08 cm). 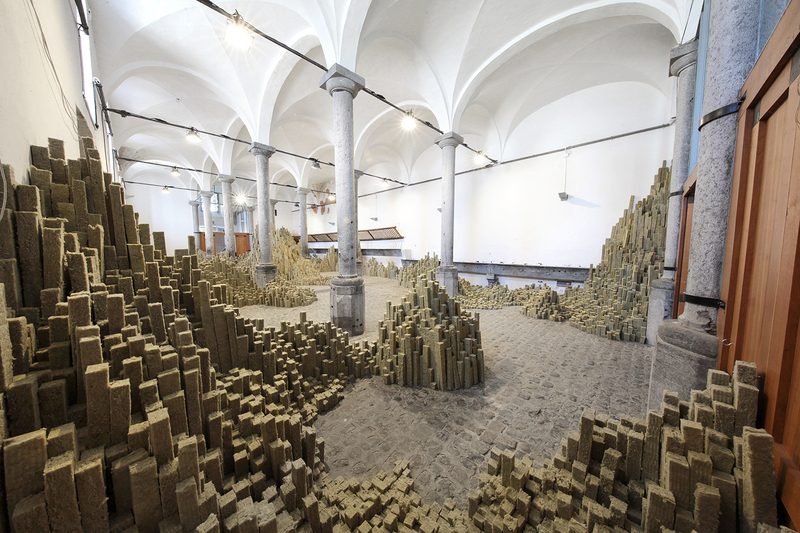 VOID, Orgue Basaltique, 2017, mineral wool, site specific installation, dimensions variable.